Inbound lead generation is one of the most cost-effective means to grow your contracting or local service business. 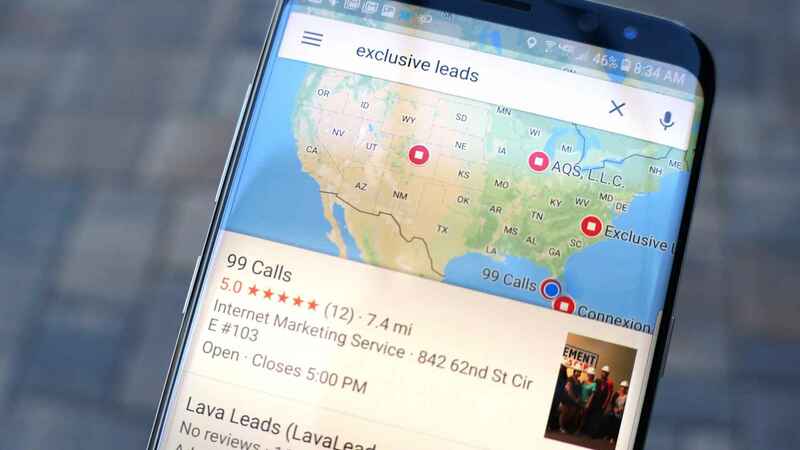 The 99 Calls Lead Generation System wins prominent placement on the first page of Google searches for local contractors, and drives potential customers to call for a free quote. You'll be found by motivated customers in your local service area. Simply tell us what you do and what areas you serve. You get a super-fast search engine optimized (SEO) website and mobile site that will rank on the first page of Google, dozens of important directory listings built and managed, a Facebook business page, ability to post special offers, and assistance with obtaining great online reviews. Most importantly: you'll receive affordable, live, exclusive leads . Exclusive leads are a great alternative to shared leads from HomeAdvisor, Thumbtack, Networx, Painter Choice, and others. Contractors and local service business know that shared leads come with heavy competition which means you must call the consumer as soon as possible, hope to be the first, and then hope further that you don't get beat down on price too much. With Exclusive Leads produced by the 99 Calls Lead Generation System, motivated customers call your business directly. Simply answer your phone and set an appointment. With inbound calls and live one on one conversation, you get to build an immediate relationship with your client, significantly decreasing the chance they will call another for a second quote or start shopping around for the lowest price. The extras are nice, but we'll never lose focus on what matters most and what we do best: generate a steady flow of inbound leads from motivated customers. Calls and emails are always live and exclusive. We never share or resell leads. Your business is listed on important search engines and directories following Google's best practices to manage and monitor your business information. Strong calls to action are frequently placed on all listings, sites, and social media platforms to entice potential customers to call you. The core of our lead system is a full website and mobile site designed and proven to rank highly online. Personalize with your unique content. We make it easy to get reviews from your happy customers. With free monthly reporting of leads, you'll always know your return on investment. If we don't perform, you don't pay! ★★★★★ - "I'm very pleased with 99 Calls. Unlike other services, 99 Calls gives me quality interested callers. Would highly recommend them." ★★★★★ - "I'm going into my second year in business and it has just grown so much. And with all of your help, this has been a blessing. Thank you so much!" ★★★★★ - "As a plumbing company, 99 Calls has helped us grow our company greatly and develop repeating customers." ★★★★★ - "99 Calls has been a great asset to the James River Remodeling team. Our lead volume has more than tripled since signing on with the 99 Calls team. We look forward to continuing to grow and advance with 99 Calls. I would certainly recommend them to anyone looking to advance their company."